The memory wipe device from Men In Black. Very useful. bringing colour to the hood. The time machine from BTTF or better yet Hermoinies time travel watch. Inspector gadgets car, though i think thats not too far out of reach. Things from movies I wish were real...that magical warping bed from Bednobs and Broomsticks. The Batmobile. I wanna ride in that beast. Hmm... *thinking* Supervillains and superheroes fighting and stuff. Giant dragons. So they can take me to college. The Genie from Aladdin. Because he was awesome. Aaaand... I'm sure there's more but I can't seem to think of any more at the mo'. Where have you been all my life Enigma? Let's add a puddle jumper to that list. In the never ending story there's a big dragon/dog that the boy flies on, I would quite like one of those. 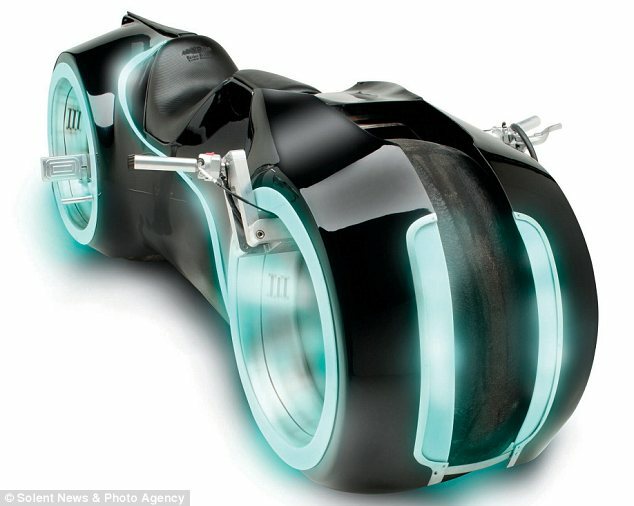 ooooh they made the bike from Tron in real life. It looks super cool.